It’s that time of the month again. Netflix has announced its upcoming new titles for April and it is promising to be a bumper month for Movie and TV fans alike. For movie lovers, there will be a multitude of new flicks dropping at the start of the month. This includes some classic movies appearing in your US Netflix library next month, including Al Pacino in Scarface and cult classic The Lost Boys. More recent new additions will include hugely successful costume drama The Duchess starring Keira Knightley, Ralph Fiennes and Civil War drama Cold Mountain, with Nicole Kidman and Renee Zellweger. If it’s great new TV shows that you are after, then there are no shortage of those being lined up either. Perhaps it is the brand-new series of Chef’s Table or Jane the Virgin you are looking forward to? Maybe a four-hour long docu-drama Bobby Kennedy For President, about the dramatic political career of Robert F. Kennedy is more your thing. Or have you been holding out for David Letterman’s new talk show, My Next Guest Needs No Introduction with Jay-Z joining the host. Whatever you are into, there is something for just about everyone coming up in April. Bad Boys – Classic crime-fighting caper with Will Smith and Martin Lawrence. Cold Mountain – Civil War drama starring Renee Zellweger and Nicole Kidman. Jackass 2.5 – yet more real-life slapstick fun with the whole Jackass team. Seven – Biblical fueled crime drama starring a young Brad Pitt. The Duchess – classic costume drama with Keira Knightley and Ralph Fiennes. The Lost Boys – the cult classic vampire movie. Despicable Me 3 – Gru and the Minions are back for another outing, with the voices of Steve Carell and Kirsten Wiig. Greg Davies: You Magnificent Beast (Netflix Original) – new stand-up from the British comedy giant. Lost in Space: Season 1 (Netflix Original) – the highly anticipated Netflix reboot of the cult classic Sci-Fi film is finally here. 3%: Season 2 (Netflix Original) – after several years, this popular Netflix Original is finally getting a second series. No matter where you are in the world, you are likely to be looking at this list enviously and wishing your own country’s version of Netflix had anything like this amount of new content coming this month. Because while some Netflix content, primarily the original series and movies they produce themselves, are available globally, most are only available in some places, depending on where Netflix has managed to secure the rights. 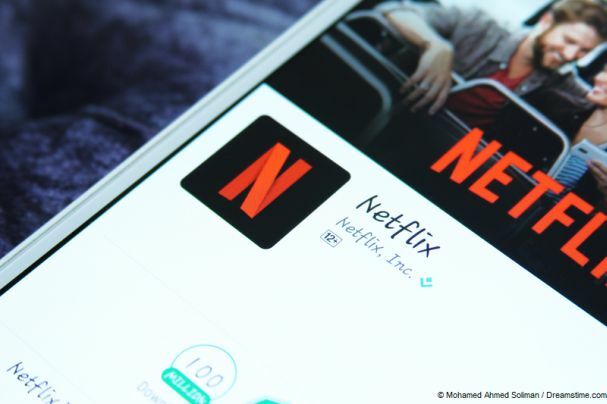 The US version of Netflix has by far the biggest range of content and users elsewhere can get frustrated that they have to pay similar subscription fees for an inferior service. But actually, that isn’t strictly true. By using a VPN, it is possible to subscribe to and access US Netflix no matter where in the world you are. Sure, Netflix doesn’t like this and has tried to block access to VPN users. But this hasn’t exactly been a runaway success and some VPNs can still help you access US Netflix no matter where in the world you are. Our recommended VPN for Netflix users is currently NordVPN which allows you to access US Netflix from anywhere in the world. So, if you want to check out all this new content from the UK, or anywhere else for that matter, here is a short guide to help you do just that. Visit the NordVPN website and click Get NordVPN. Choose the right subscription package for you and use the coupon VPNCOMP to save 30% off select packages. Then follow the simple onscreen instructions to complete your sign up. Visit the VPN Apps area of the NordVPN website and download the right app for your device and operating system. Once this app is installed, open it and log in using the details given to you in step 1. Select one of NordVPN’s many US-based servers and click Connect. Then head over to the US Netflix website, log into your account, and start enjoying all the great new shows they have to offer.